Where there's a hit, there's a writ - especially in the smartphone industry, where firms often seem to spend more time suing one another than they do actually making phones. So it's not entirely surprising that Samsung has attracted the attention of Apple's legal rottweilers. This is, after all, a firm whose - great - products tend to be reviewed using terms such as "Looks like an iPhone". There's no doubt in our minds that somebody at Samsung might possibly have seen an iPhone, and maybe an iPad too. 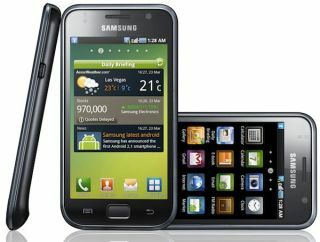 The Galaxy S looks awfully like the iPhone, and Samsung's own TouchWiz user interface looks rather like iOS. Apple reckons that's no coincidence, and according to the WSJ it alleges that Samsung "chose to copy Apple's technology, user interface and innovative style". Samsung has two choices here. It can argue that function dictates form, that there are only so many ways you can operate a phone or tablet with a touch screen and that its technology evolved independently. Or it can shut up and give Apple some cash. Samsung has an interesting relationship with Apple. On the one hand it's a competitor, a smartphone and tablet firm whose products target the same kinds of customer as Apple's smartphones and tablets. But on the other hand, as the Wall Street Journal points out, "Samsung makes microchips that are used in some Apple products as well as memory chips used in the MacBook Pro computer line". Those microchips are the A4 and A5 processors you'll find in the iPhone 4 and iPad 2 respectively, and they represent a pretty big chunk of work for Samsung's manufacturing arm. I think what Apple's doing here is firing a shot across Samsung's bows, reminding it that what's good for Samsung's mobile devices division isn't necessarily good for the rest of the organisation - and that just because Apple and Samsung are friends in one area doesn't mean Apple will be all sweetness and light in any other area. It's hard to imagine Samsung execs bellowing "screw you, Steve!" and risking what's presumably a fairly lucrative business - A4 and A5 devices outsell Samsung Galaxy devices by a factor of about eleventy billion, and what those sales lack in margin for Samsung they'll almost certainly make up in volume - so what I suspect will happen is that this case will be settled fairly quickly. That's certainly what Apple wants. It's inevitable that its market dominance will be eroded - we've seen it happen in smartphones, and we'll see it happen with tablets - but it's not going to let that happen without a fight. Like the earlier suit against HTC, Apple's action against Samsung is part of a bigger picture: it's going after Android, one firm at a time.